Your digital camera has a crop factor. It's likely that when you bought it, the salesperson said something like "it makes your 200mm lens like a 300mm lens." You're 35, 50, 85, 105, 70 to 200mm zoom and whatever else is still just that, no matter what camera you put it on. Why the misconception? The decrease in image area on a cropped frame sensor camera gives the illusion that your lens is zoomed in closer to the subject. This picture is a quick snapshot measuring 4" X 6". 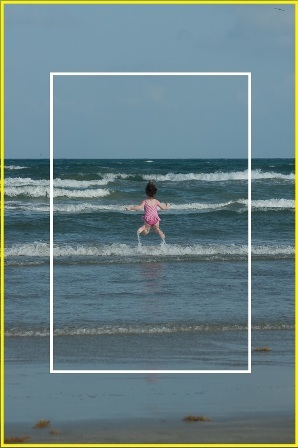 The yellow border represents the full frame, and the white inset frame a crop sensor. Note that in either case, the off spring is the same size. If a cropped sensor actually increased zoom, she'd be bigger. If you're using a slide, consider removing 12mm from the long side and 8mm from the short side (roughly 1/3 of each side). If you tore the picture out of a magazine, just cut 1/3rd off a long and short side. Now, look closely - are you zoomed in or is the picture just smaller? And that's what gives the cropped sensor the illusion of adding zoom.